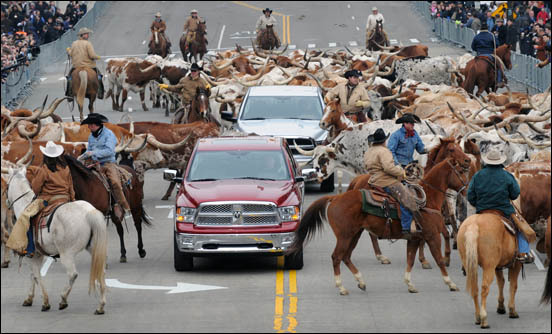 Dodge served up a full load of beef, literally, as the new Ram was revealed amongst a herd of 120 longhorn cattle in Detroit during the North American International Auto Show. 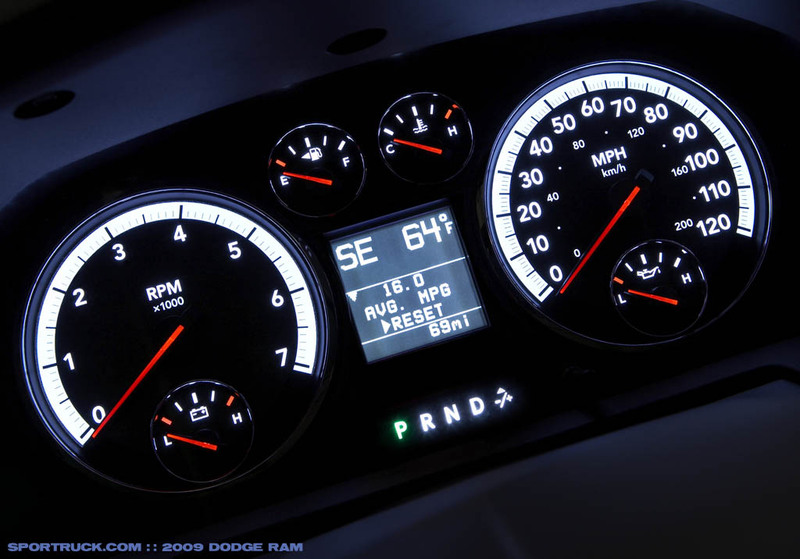 The stunt ushering in the new Ram fits the Dodge brand, which offers products with bold styling and performance to back it up. 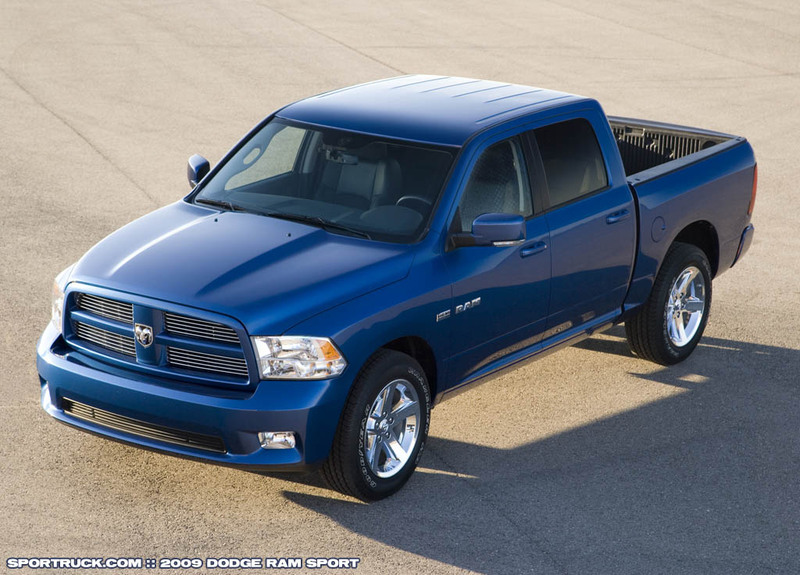 The new Ram pushes forward with new styling, melding the forward-slanted grill reminiscent of the Charger with the trademark big rig look of the Ram. 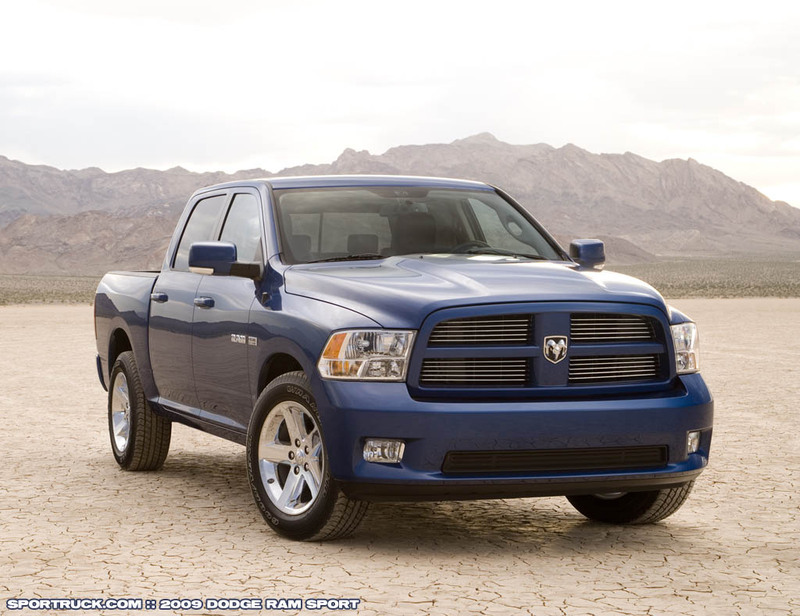 The athletic body is capped with a bulging aluminum hood and gives the truck the look of power even when standing still. 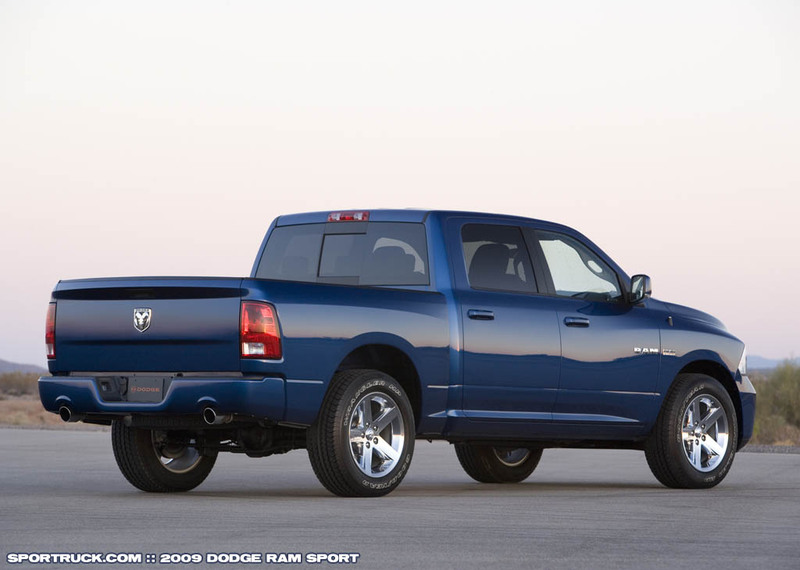 An integrated front bumper fascia and recessed rear bumper, with cut outs for the chrome exhaust tips on the HEMI, streamline the package. There is no mistaking this truck for a Dodge, and for those unfamiliar with the look a gigantic dodge logo resides in the middle of the tailgate. 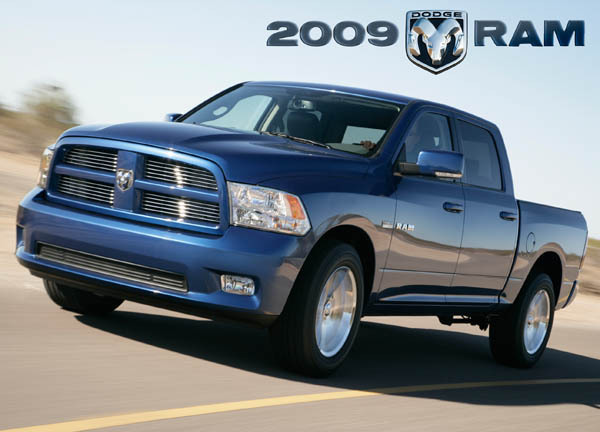 Powering the 2009 Ram are a set of engines, ranging from the new-generation 5.7-liter HEMI, producing 380 horsepower and 404 lb.-ft. of torque, to an all-new 4.7-liter V-8 with 310 horsepower and 330 lb.-ft. of torque, and also a 3.7-liter V-6 generating 215 horsepower and 235 lb.-ft. of torque. 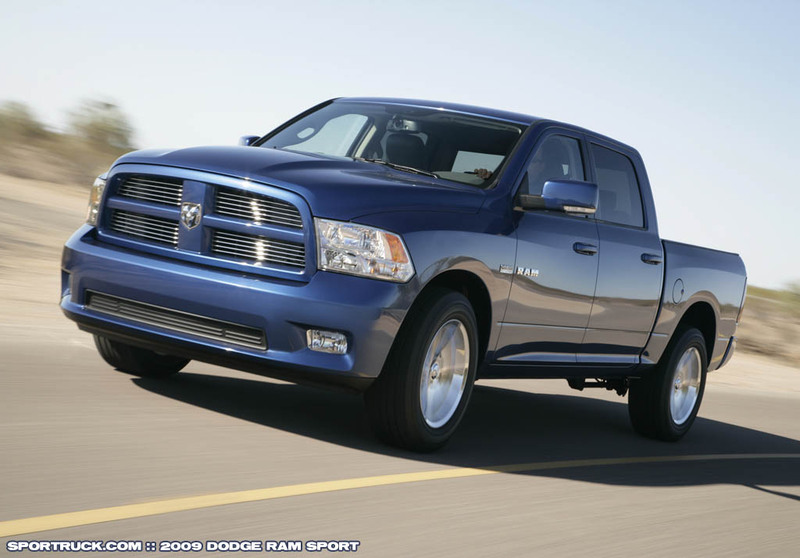 The result: A HEMI-equipped regular cab 2wd is capable of 0-60 times of 6.1 seconds. 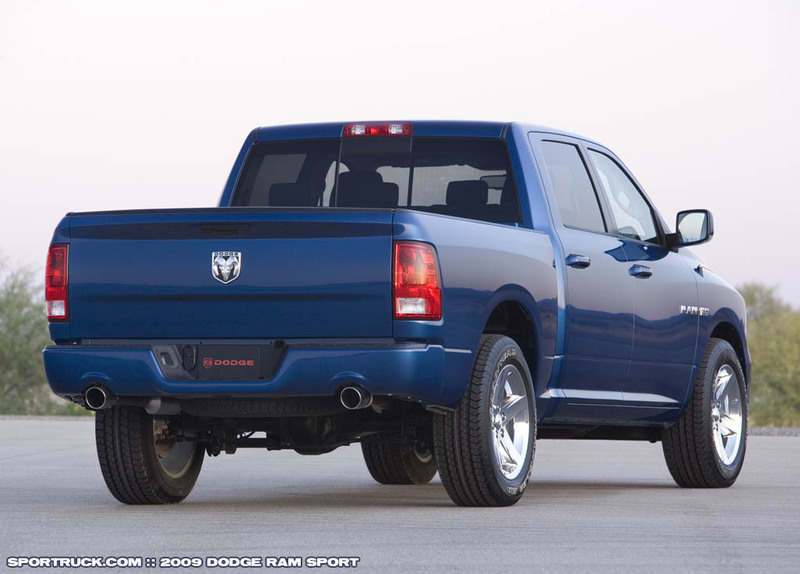 The new Ram features a new multi-link coil spring rear suspension in place of traditional leaf springs. The design provides improved ride and handling without sacrificing payload capacity (up to 1850 pounds) or towing abilities (up to 9100 pounds). 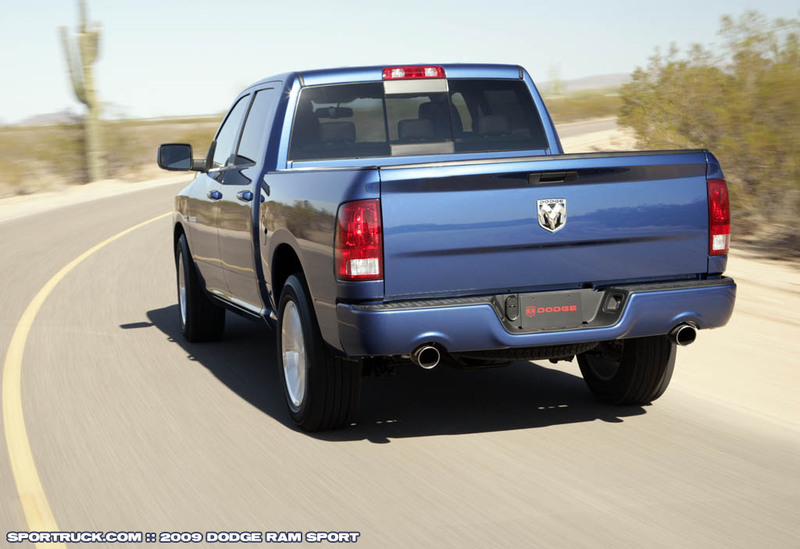 For those who carry a lot of cargo, the new Ram offers unique RamBox cargo system. 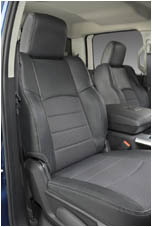 This option provides weather-tight and lockable compartments in both fender sides in what would ordinarily be unused space. The bed side bins offer 4.3 cubic feet of storage each, and additional storage compartments are located in the bed floor for even more space. RamBox also features a bed bed extender for carrying oversize loads on the tailgate, and adjustable sliding tie-down points. 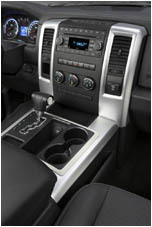 Multiple storage options are also available inside the cab, including a large glove box set high in the dash, map pockets in the door panels, and a generously sized center console. 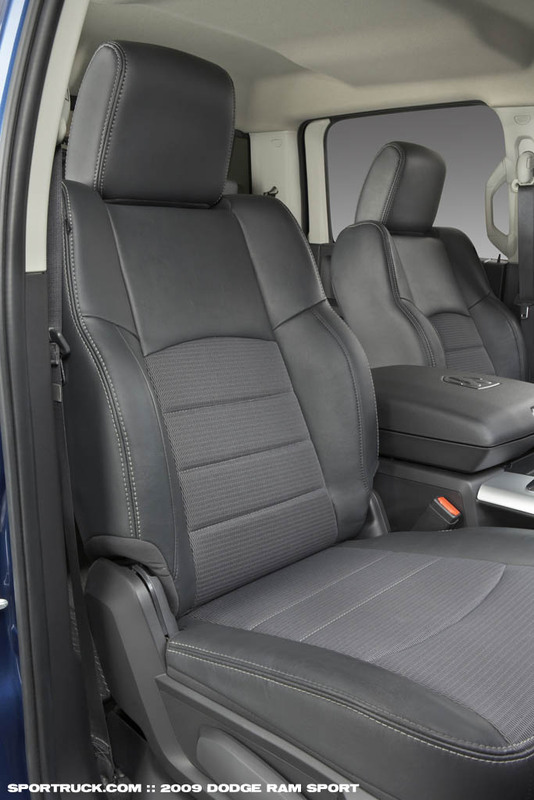 To keep occupants satisfied, the front seats are offered with heating and ventilation, and the rear seats are also available with heat, along with the steering wheel. 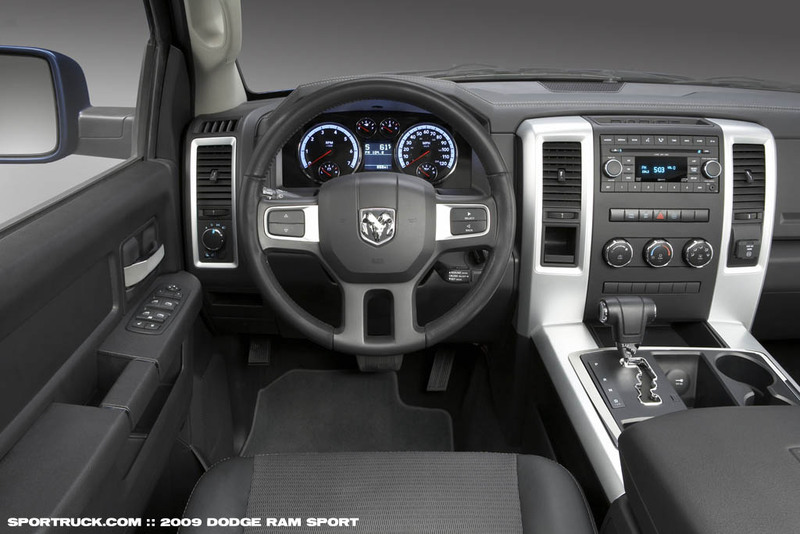 Driver and passenger windows can be lowered and raised with one touch of a button. 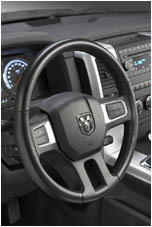 Other convenience features include automatic-on headlamps and dual-zone automatic temperature control. 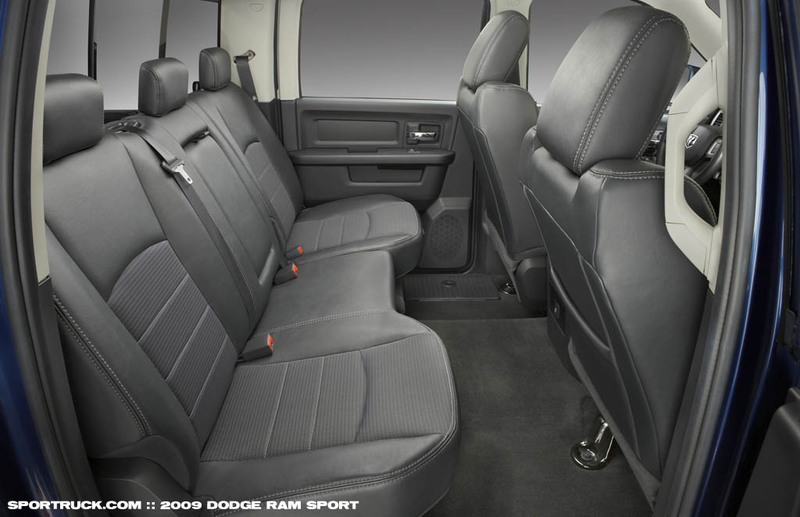 The 2009 Ram offers many advanced technology features, including the MyGIG multimedia system, DVD entertainment for rear seat occupants, and surround sound audio. 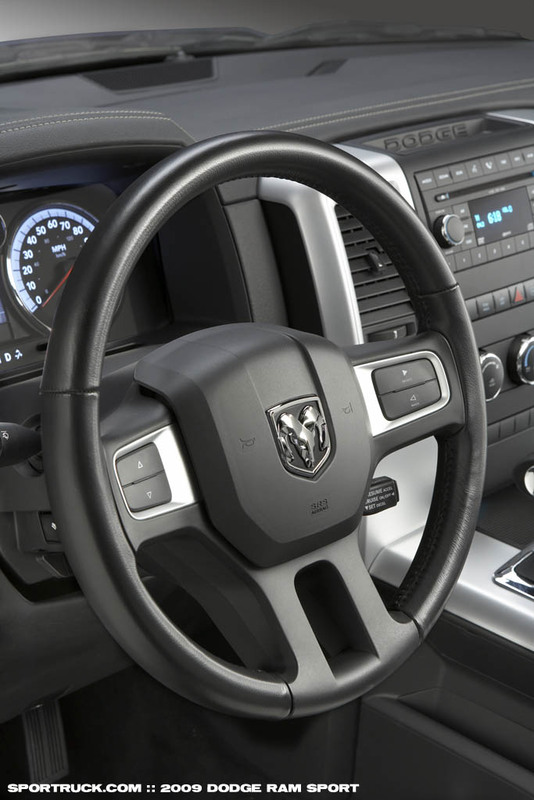 The interior offers a fresh new look, with individual round dash gages, soft-touch controls and chrome accents. 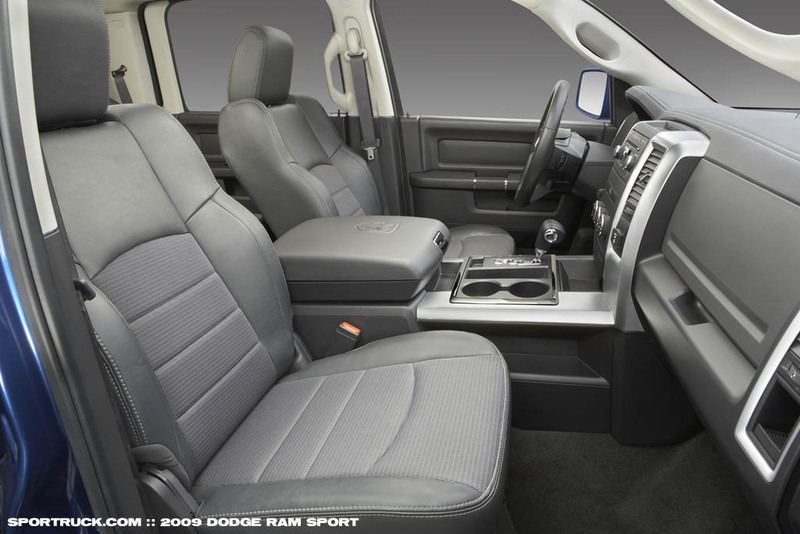 Two-tone upholstery with ample padding keep the passengers comfortable, while the configurable center console offers versatility. 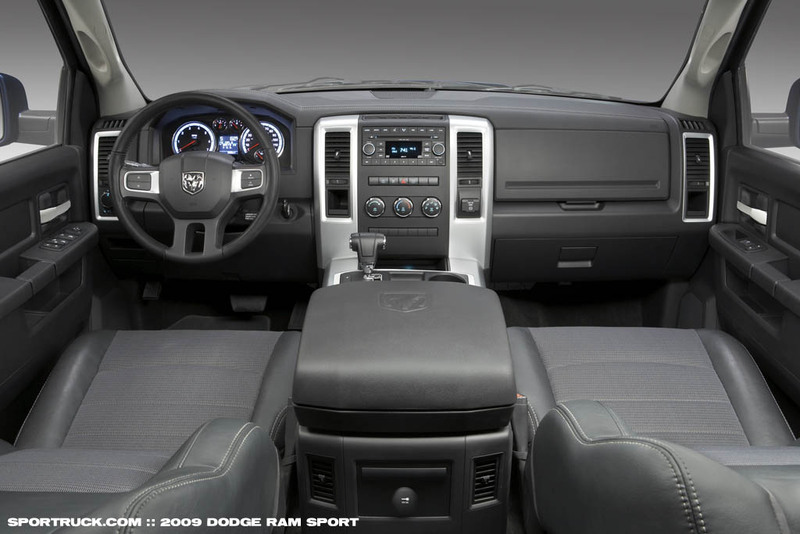 Dodge will offer the complete Ram lineup in sizes from single cab short bed, to Quad Cab, to a full crew cab, a first for Dodge in a half ton truck. The trucks will be built in Warren MI, and Fenton, MO, and will arrive this fall. 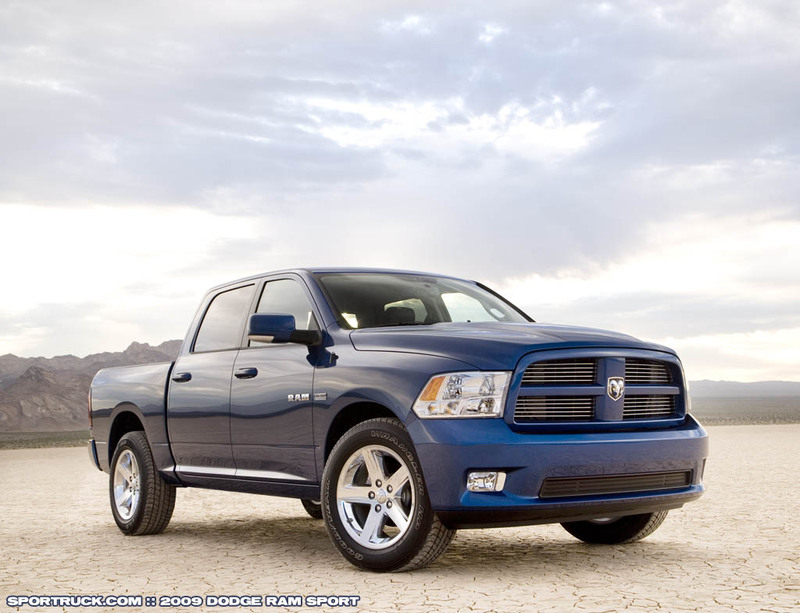 A diesel is scheduled for release in 2009, and Dodge has plans for a two-mode hybrid version to be available in the 2010 model year.